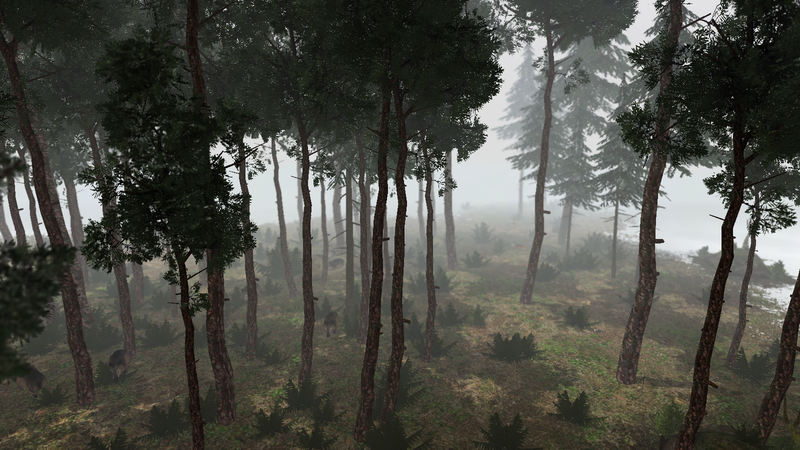 In a game of movement and random chance, everyone creates their own unique forest landscape. 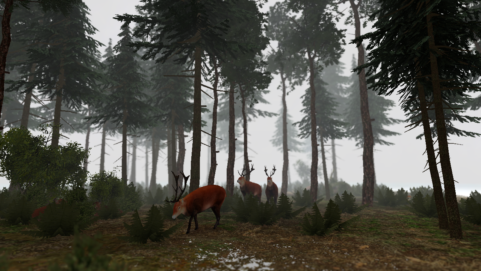 A walk through the forest usually has a refreshing and relaxing effect on people. 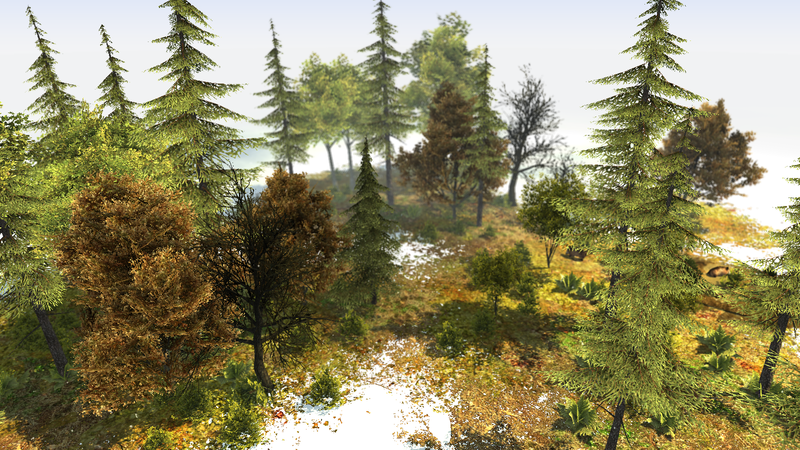 The scenery is full of little details, and the surroundings exude energy and liveliness. 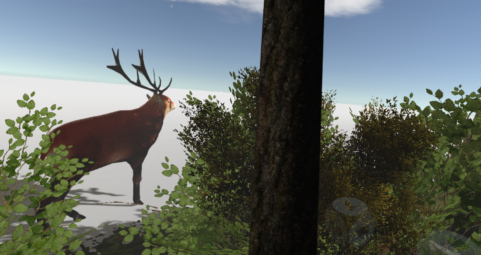 Würfelwald VR (transl. 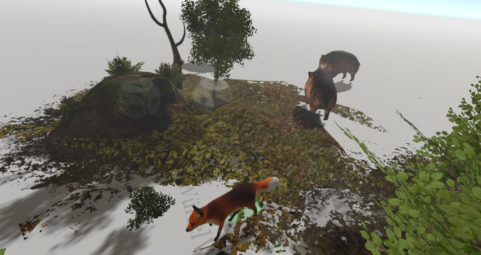 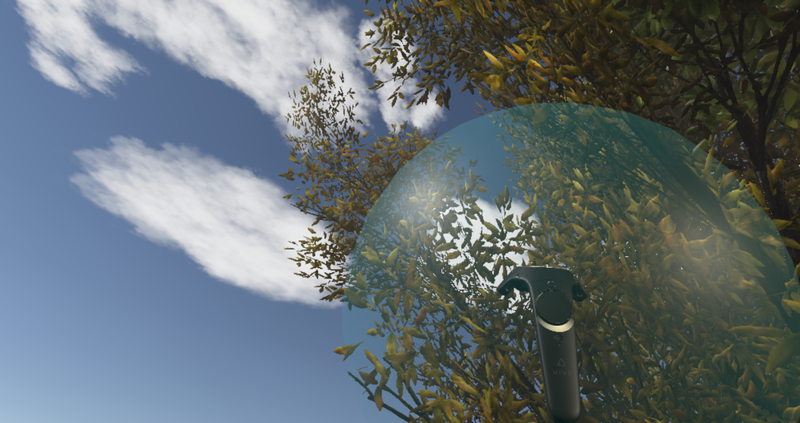 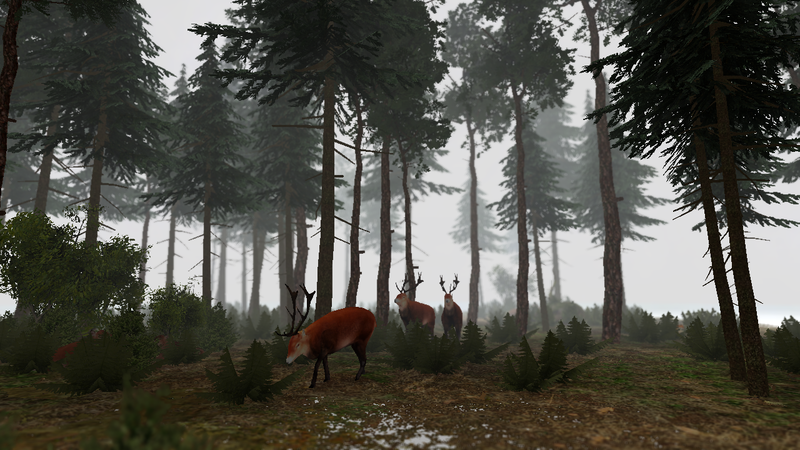 “Dice Forest VR”) simulates the diversity of nature, its peculiarities and its unpredictability. It all starts with the roll of a dice. In the previously empty white space, a tree grows at the exact position where the dice has landed, then a second tree and gradually the whole scenery fills with life. 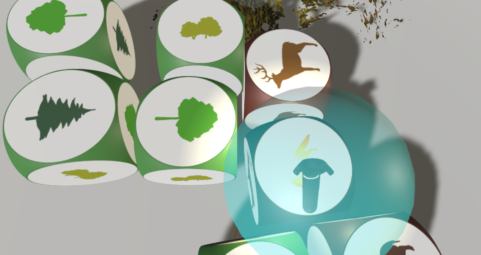 Each dice represents different parameters of the forest’s ecosystem, such as different plants and animal species as well as the weather and time of day. The dice represent chance and randomness and are themselves the seed, which gives the first spark for the forest life. 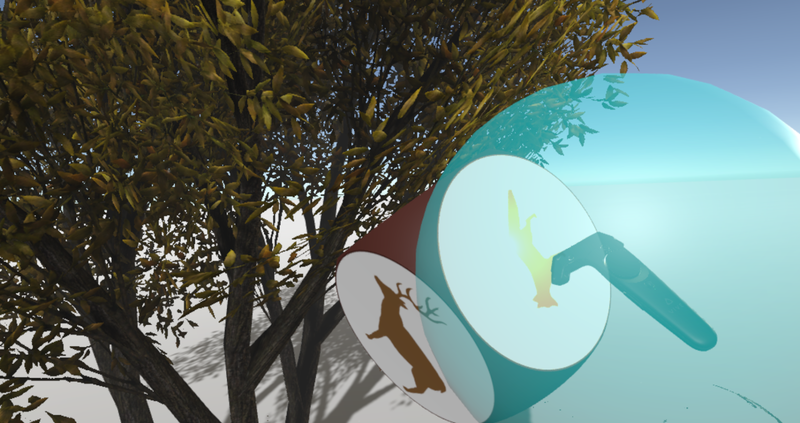 In this way a completely new virtual forest is created with every throw. 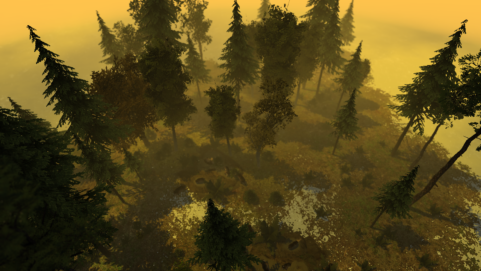 It grows depending on the given parameters and continues to spread according to the laws of nature. 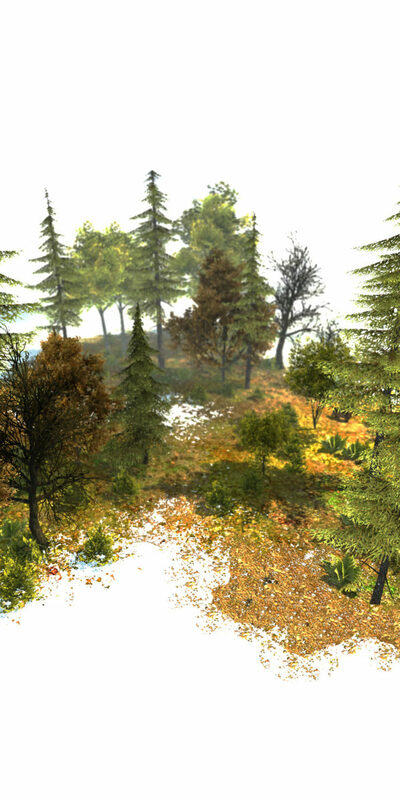 The user can selectively move, rotate or exchange the cubes and then observe how the forest reacts and transforms.